I love my homemade lotion! That’s for sure. I’m just about out of my shea butter lotion which I use the most, but I always have some lotion bars as back up while I make more. These 3 lotion bar recipes are great for kids as well. You can make them the right size for their little hands to hold and rub on their bodies after a shower. MOLDS: Cupcake liners work great! You can also line a glass dish with waxed paper and pour the lotion into it to cool. Simply slice when cool. The waxed paper will help you pull it out of the dish when it’s hard. Another way is to pour the lotion mixture into empty deodorant containers. These make it easy to rub all over. ESSENTIAL OILS: Use what you love! Lavender is very relaxing. Rosemary is great for the skin. Tea Tree is a good antibacterial. All 3 Recipes make 3 cups of lotion. I buy most of my ingredients on amazon. I’ve included affiliate links to what I buy. For this recipe you will need equal parts shea butter, coconut oil, and beeswax. 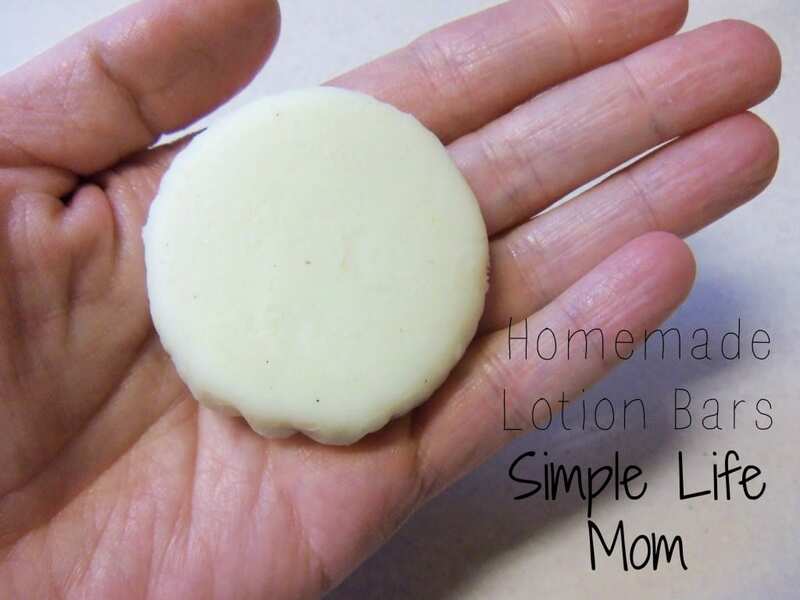 This is the standard recipe that people use for lotion bars. Shea butter is a solid oil, but semi-soft. Coconut oil is a solid below 76 F. So, the three ingredients together will make the lotion nice and hard, but wonderfully nourishing for your skin. Place shea butter, coconut oil, and bees wax in glass bowl or jar. Place jar into saucepan filled halfway with water. Turn saucepan on med. heat and stir oils until they are melted. Remove from heat, add essential oils, and pour into molds. This is similar to the recipe above, but instead of just using coconut oil, you can substitute some of it for some other great oils. 1/2 cup total of sweet almond oil, apricot kernel oil, grapeseed oil, rosehip seed oil, avacado oil, or oil of choice. Place all oils except essential oils in a glass bowl or jar. Place jar into saucepan filled halfway with water. Turn saucepan on med. heat and stir oils until they are melted. Remove from heat, add essential oils, and pour into molds. This is the recipe I use. Bees wax can be expensive, but it is necessary to create a hard bar. Cocoa butter is also very hard and can sometimes be cheaper. I like the smell and enjoy adding it to my lotion bar recipe so that it is a bit cheaper to make. Is it?! Well, it makes sense 🙂 I love these bars. Hope you enjoy. That’s what I use too, but no bees wax, and arrowroot powder instead of cornstarch. The recipe is not that sensitive. I sometimes get mine in bulk from a friend (Then I melt it in a pot of water and break up into small chunks as it cools). If you shave and pack in a cup it will be good enough. Though I think I read that 1 cup is about 1/2 pound. I can weigh it soon and get back to you. Thanks for sharing your lotion recipes on The Yuck Stops Here! recipe link up. Love this idea. Thank you for simple and clear instructions. Bookmarking right now. I love the shea butter and coconut oil. My skin feels like a baby skin. Love the combination of oils – this sounds like it would e wonderful for your skin. Me again! I just visited you on another linky party this morning and then popped over to our party and was delighted to see your oil on our party! 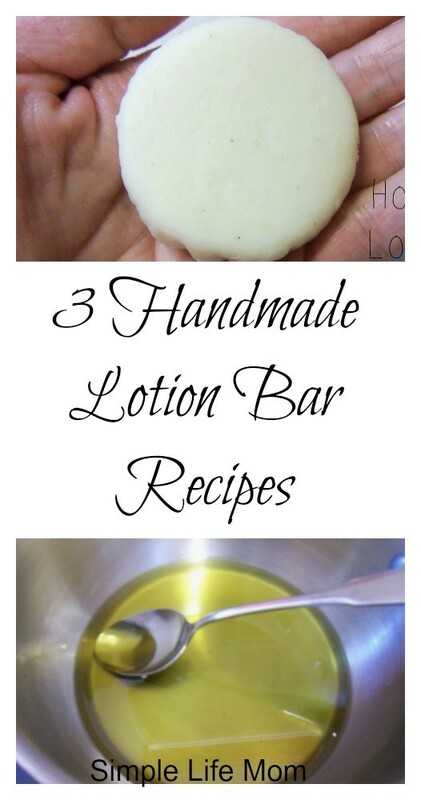 It is awesome and I have always wanted to make my own lotion bar but didn’t really know how to do it. I have been adding coconut oil to olive oil for a mositurizer when my legs get really dry in the winter and love it. This would be much better! Thanks for sharing on the Four Seasons Blog Hop! Thanks Terri, I wish I found these oils when I was about 15 so I could have prevented some of the damage to my skin. How much does that produce? How long can I keep it? Do I have to keep it in the fridge? Can I use sweet almond oil instead of coconut oil? It makes about three cups. The rosemary E.O. helps it to last as least 5 months before the oils start to oxidize. You don’t have to keep it in the fridge, but it will help it to remain harder during the summer months. You can sub. 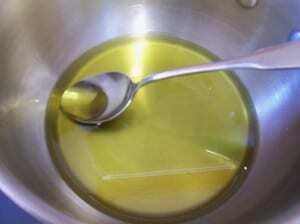 sweet almond oil because there is enough bees wax in this recipe to help it remain hard. I’d like to make the one, 3 and Simple. I’m tired of coconut oil, would Apricot Kernel oil work. Plus, I believe the label says not to heat over 75 degrees, so I wonder if I just added it after the Shea butter and Beeswax melted if that would work. Thanks. I like your blog, just found it. Yes. Apricot oil stays liquid while coconut would harden in most people’s homes. Therefore you will have a softer lotion. I would add it like you said, after the bees wax and shea is melted. I don’t have beeswax, mango butter, or shea butter. What else can I use? Cocoa butter? Coconut oil? If you don’t want to buy ingredients, you can just slather yourself in coconut oil or olive oil 😉 I’ve done it. It it possible to make a massage bar without beeswax (or any sort of wax) or tallow? My ingredients are shea butter, coconut oil, and essential oils, and I’m wondering if those will harden enough to be used as massage bars. Also, do I need to coat silicon moulds with anti-stick spray before pouring in the melted wax? I feel iffy about doing it and I hope I don’t have to. Would love to hear from you! Thank you for your time. You can spray the silicone molds. It won’t effect the soap. It won’t be hard enough to be a hard lotion bar, but you can whip the shea lotion (1/2cup) and add coconut oil (1/3 cup) and make a creamy lotion. Add essential oils of choice. Do you have to have beeswax in the lotion? It helps it become hard enough to become a lotion bar. You can use cocoa butter instead. I love this recipe but my bar is really soft. I melted it down and added more beeswax but still it’s too soft. I used the beeswax, shea butter and coconut oil option. Would appreciate any help troubleshooting. I’m not sure what I did wrong! I’m not sure what happened. I’ve made that recipe a number of times and they always set up perfectly, so something must have been mis-measured. If you add too much beeswax it can become too waxy and not glide on your skin very well. Ideally, if you have any cocoa butter you could add some of it. If they’re very soft bars I would melt everything down and add 1/2 cup cocoa butter. If you don’t have cocoa butter, you’ll have to melt and add more shea and bees wax.